Are you looking for a cheap kayak package the whole family can enjoy? Do you like colours? 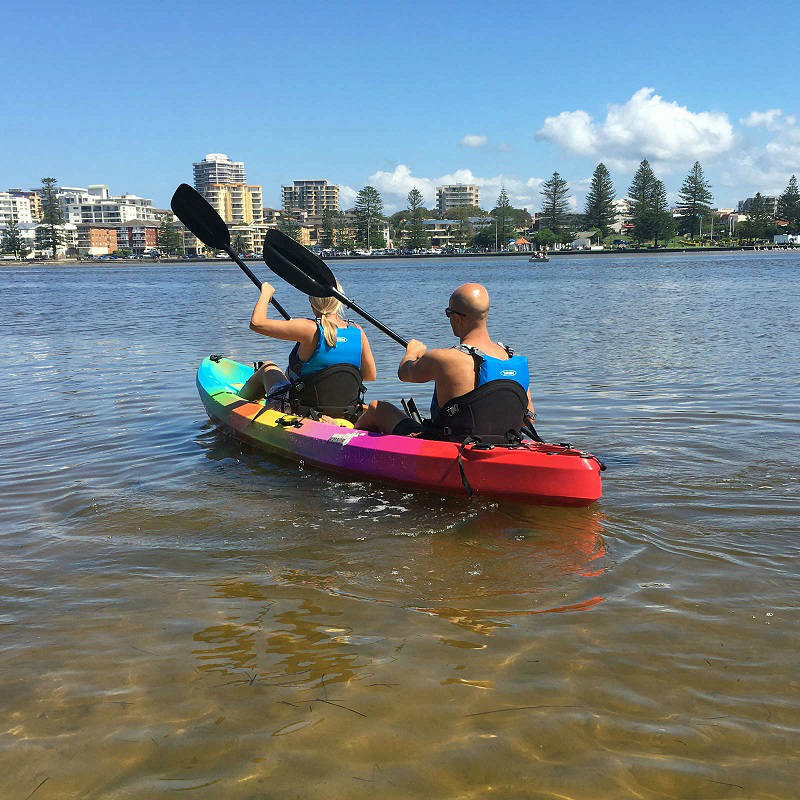 This Family Kayak Package is just that a colourful rainbow packed with loads of features. The Rainbow Rhya has the added bonus of you being able to move the seat into the centre and paddle it solo. 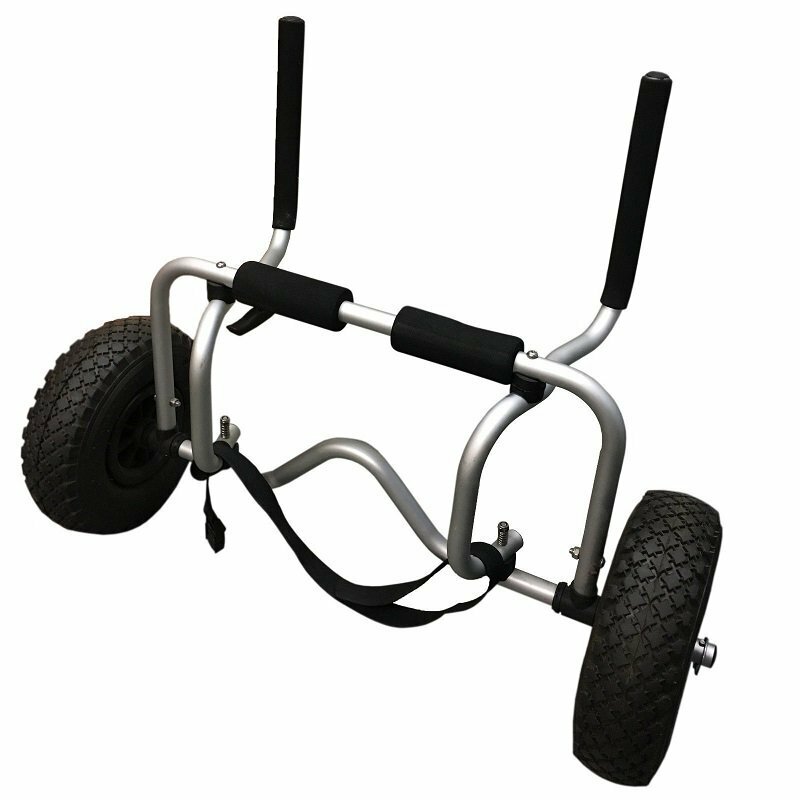 This is a great option for larger framed paddlers who want to feel comfortable and have ample space to load the kayak up with the esky and fishing gear. 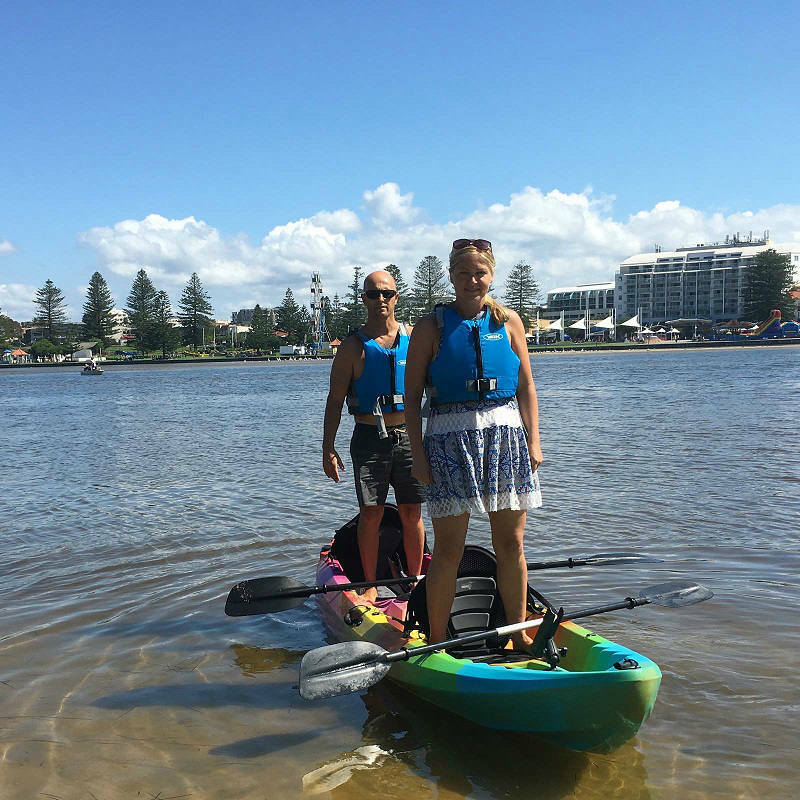 This kayak has loads of stability which is vital when the kids are on board, and with the broad hull this makes many activities possible. Plenty of our customers have mounted outboard motors off the back of this kayak, as we have designed the position of the back rod holders so they can be removed and a mounting bracket to fit straight in this position. 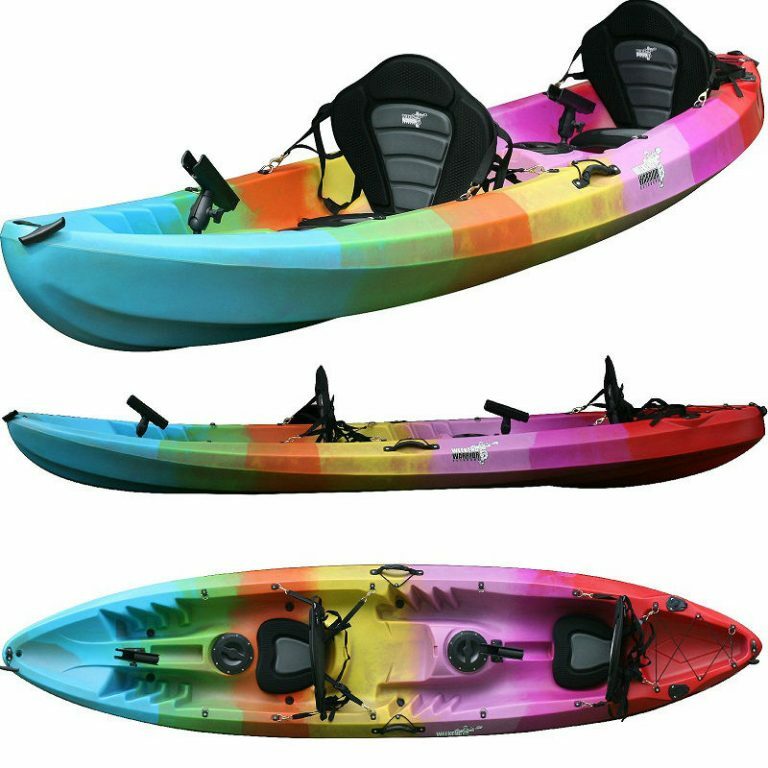 COME AND CHECK THIS RAINBOW KAYAK OUT IN STORE AND LAYBY IS AVAILABLE. 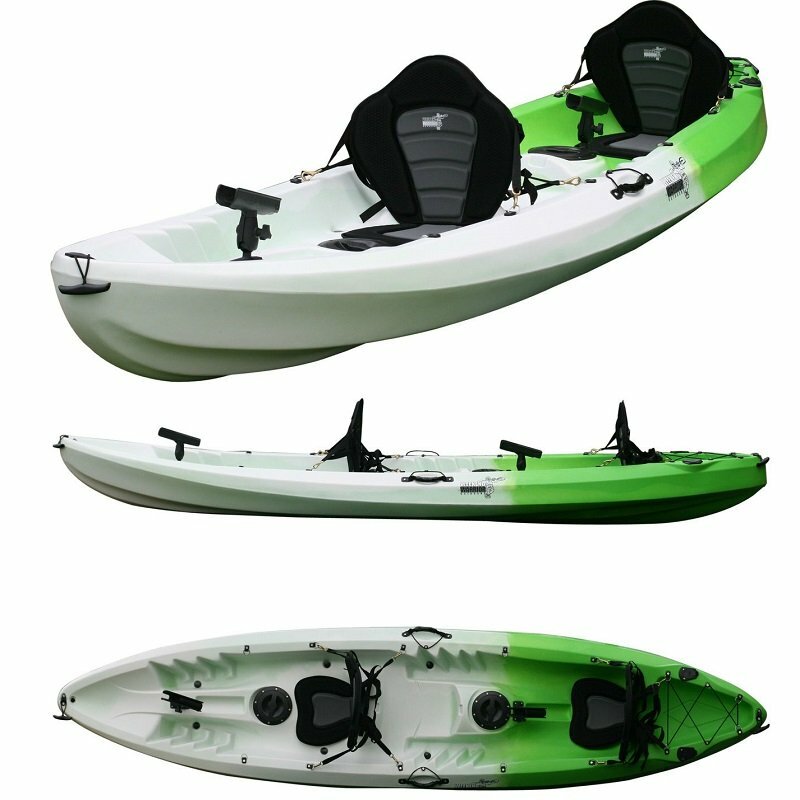 VERSATILE: You can paddle it solo, as a double or triple kayak. 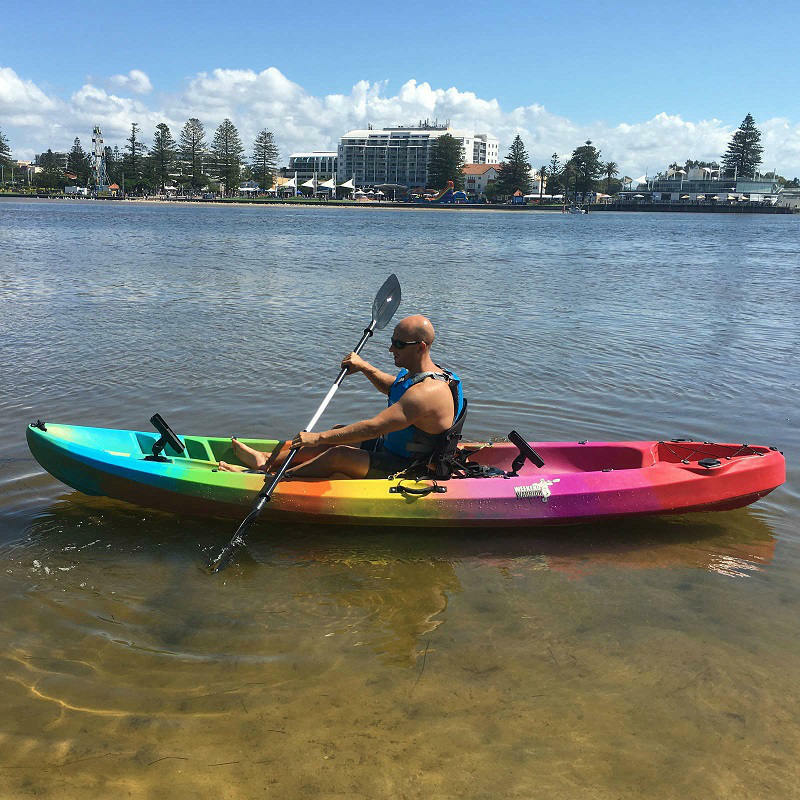 WEIGHT: This Kayak holds paddlers up to 230kg safely. The whole family can paddle together as long as you don’t weigh over 230kg together, otherwise it will lose its stability. OUTBOARD: Ready for a mounting bracket for your motor. We designed this so the back rod holders fit the bracket straight through. 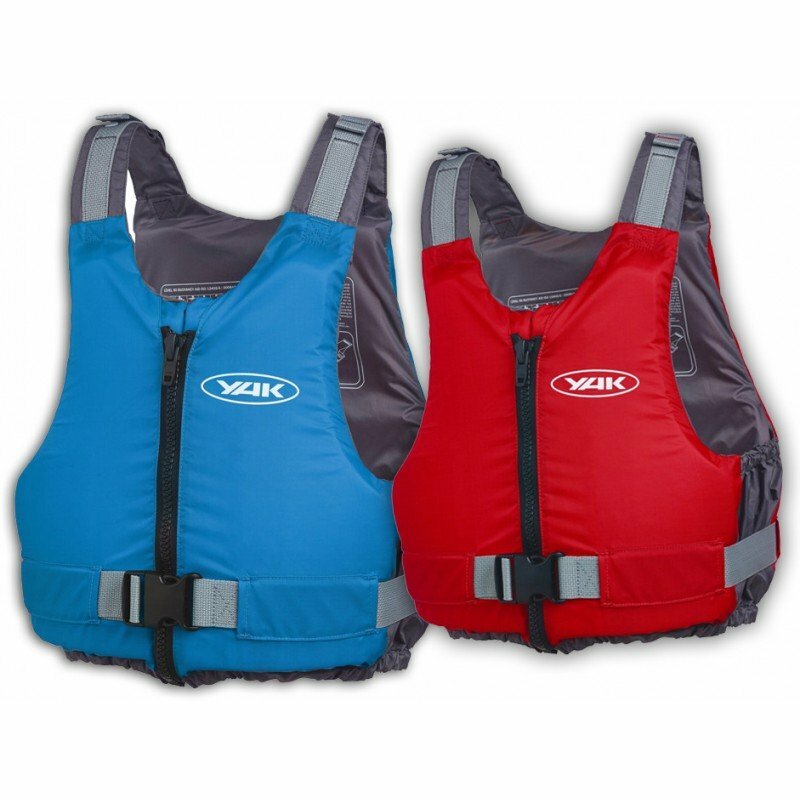 BRICKS AND MORTAR KAYAK STORE – Buy from a reputable Kayak Store with a proven history. COME AND VIEW OUR RANGE IN STORE! !